The truth of the matter is that Dr. Salivonchik does not like removing teeth. If it were up to him, all of his patients would keep their natural smiles for their entire lives. Unfortunately, in cases of severe dental damage or decay, an extraction is sometimes the best solution for a person’s long-term oral health. Should you ever require one, you can trust Dr. Salivonchik to perform the procedure in such an expert way that your first thought will be, “That’s it?” when you’re finished! Why Choose S. John Salivonchik, D.M.D., P.C. for Tooth Extractions? One of your teeth has developed a cavity that is too large to be restored with a filling or crown. You have an advanced oral infection that has deteriorated the bone needed to hold a tooth in place. 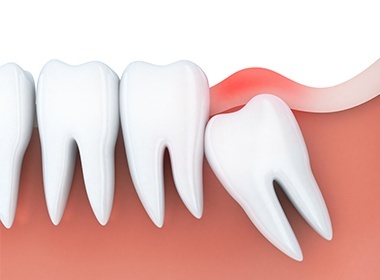 Trauma has damaged the tooth beyond the point of repair. Room needs to be created in the mouth to ensure the proper fit for a denture. Contrary to popular belief, a tooth extraction does not involve any pulling. 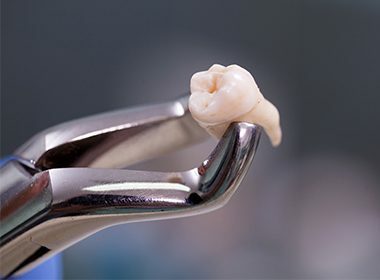 After thoroughly numbing a patient, the tooth is simply rocked back and forth until it slips out on its own. Thanks to this approach, many patients say that they actually don’t feel a thing!